Does mvalentine87 belong in this group? 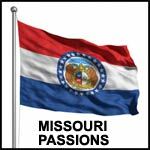 I was born and raised in Missouri and now back Missouri is a great state with prairies, mountains, rivers, many lakes, a beautiful state to live in. Does nevamoboy526 belong in this group? Does kokokisses belong in this group? Does domyoungstud belong in this group? Gentle Soul I am kind, gentle, honest, romantic, good sense of humor, laid back and many others I can not think of. I do not smoke or do drugs and I always treat a lady with respect and kindness. I am looking for a nice lady that has the same traits as I do and would like to travel the country with me. Does sprout6383 belong in this group? New to this and looking for fun!! new to this and looking for fun! My name is brandon from odessa. Just looking for safe, clean, casual fun! Does blmatt9014 belong in this group? Does unluckypenguin belong in this group? Love the Outdoors I'm a quiet divorced mother of 3 grown children and 3 grandchildren. I am looking for my soulmate. I'm looking for someone that enjoys some of the things that I enjoy. I have been divorced for 12 years and would like to find my best friend and lover. I love the outdoors. Anything else you want to know....just ask. Does deedsnmo belong in this group? Does countryproud belong in this group?